Legislation that allows a newcomer to buy an apprentice hunting license for multiple years has passed the Illinois House of Representatives by a unanimous vote. House Bill 3623, sponsored by Rep. Jerry Costello II (D- Smithton), will now head to the Illinois Senate where it will be assigned to a committee. Take Action Today! Illinois members should contact their state senator and ask them to vote YES on House Bill 3623. 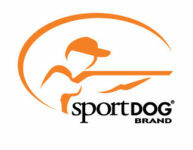 Members can contact their state senator by using the Sportsmen’s Alliance Legislative Action Center. Current Illinois law only allows a new hunter to buy one apprentice license in their lifetime. Research compiled by the Sportsmen’s Alliance has shown that allowing people to purchase an apprentice license for three or more years leads to a higher percentage of people transitioning to hunter education and becoming a fully licensed hunter. That research has led more and more states to adopt apprentice license laws that permit buyers to participate for at least three years. Neighboring states Indiana, Michigan, Missouri and Wisconsin have already taken this action. House Bill 3623 is supported by the national Families Afield effort, which is led by the Sportsmen’s Alliance, National Shooting Sports Foundation, National Wild Turkey Federation, National Rifle Association and the Congressional Sportsmen’s Foundation, and is supported locally by the Illinois Federation for Outdoor Resources. Families Afield and has successfully championed mentored or apprentice hunting laws in 41 states since the it was launched in 2005, and has resulted in more than 2.2 million apprentice licenses sold.